I've had lots of meaty ham bones lately to cook with - this most recent one from my son's house and our early Christmas with him and his family ... naturally he saved the bone with lots of meat on it for me! So I cooked the ham stock, let it chill so the fat would rise to the top and solidify. The next day I removed the stock from the refrigerator, skimmed off the fat and finished the Ham and Veggie Soup. My husband does not care for ham and bean soup, so this recipe was a way for me to get him to enjoy it. 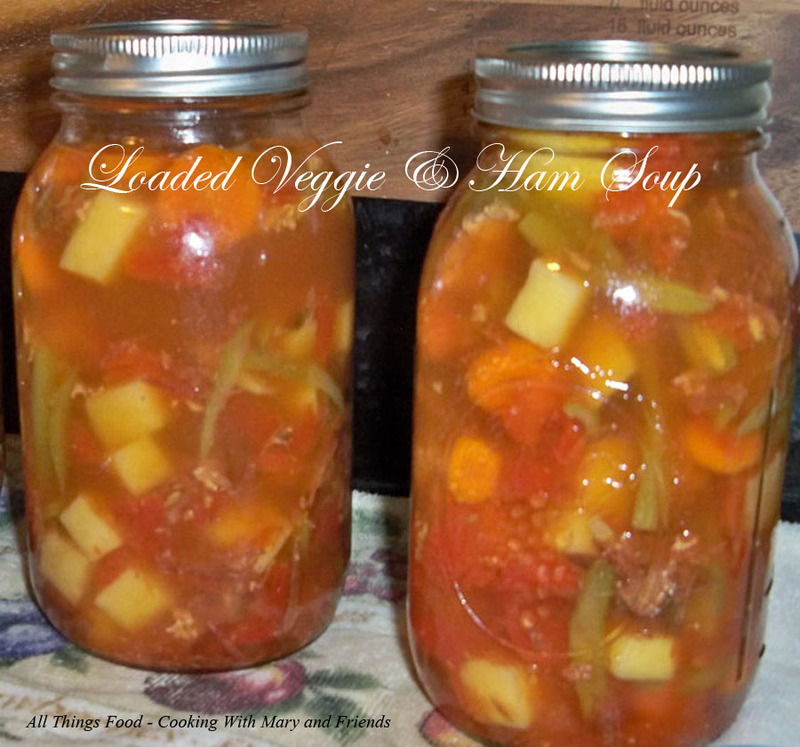 Use any vegetables you want in this ... but be sure to use fresh or frozen, especially if canning it. 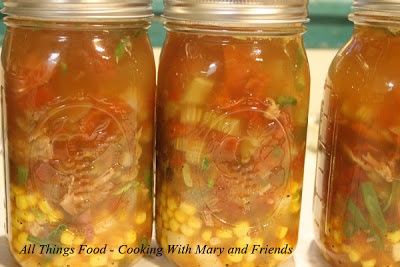 If you use canned vegetables, they will turn mushy, which is not what you want. This soup also freezes very well. 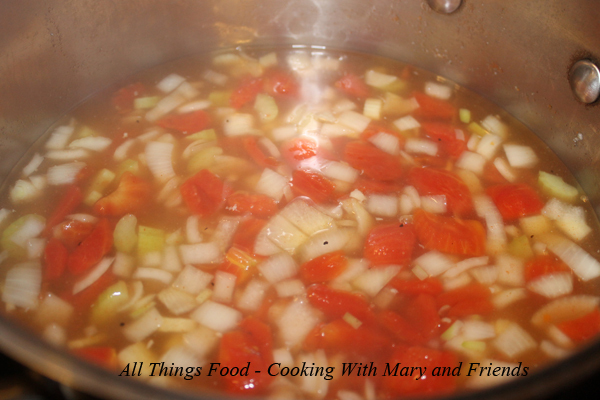 In a large stock pot, bring ham stock, onion, celery, tomatoes and spices to a boil, reduce heat and simmer approx. 30 minutes or until vegetables are very tender. Add the remaining vegetables, reserved ham meat from stock, adjust seasonings to taste and cook over low heat until all vegetables are tender. Serve immediately. GREAT with biscuits, cornbread or crusty bread. Canning directions: Cook ham stock, onion, celery, tomatoes and spices as above. 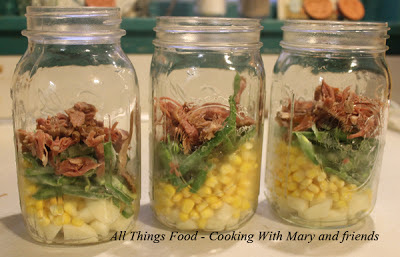 Add remaining vegetables raw to each canning jar, top with reserved ham meat from stock, and evenly distribute among jars. Ladle hot stock over top and seal with canning rings and lids. Your ratio should be half solids to half liquid in each jar. Process jars in a pressure canner 1 hour and 15-30 minutes at 10 lbs. pressure. You make it all sound and look soooooo easy Mary! You rock girl!!! Why thank you Lynn! It really is easy and so yummy!